Get announcements of new topics and important updates to existing topics from the City of Tulsa in your RSS reader or emailed to you as a daily digest. Subscribe to updates from the City of Tulsa, and you'll get emails announcing new topics and the outcome of existing topics. 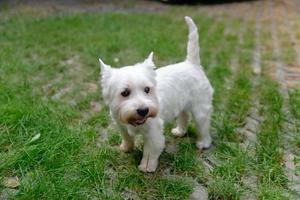 How can we improve Tulsa's Animal Welfare system? Mayor Bynum announced a plan to improve Animal Welfare in December 2018. As part of that plan, the Mayor's Office is partnering with Animal Welfare and Tulsa Police to get your input on animal welfare policies and programs. Please help us by completing a short survey. The survey will close February 15, 2019. We want to hear your ideas for economic development in the Phoenix District! Help us shape the future of the Phoenix District! The Phoenix Development Council is seeking feedback from Tulsans regarding economic development along 36th Street North, the heart of the Phoenix District. Please take 10-15 minutes to learn more about the Phoenix District and participate in our survey. Please give us your feedback on the Arena District Master Plan! The planning team has used the feedback from our first community visioning workshop to craft draft concepts and strategies for redevelopment in the Arena District. If you were unable to attend our second workshop, or attended and would like to provide additional comments, there is still time to review our draft materials and share your ideas. Visit our new topic on Feedback Tulsa for a quick survey highlighting various project themes, including streets and connectivity, catalytic opportunity sites, and public spaces. We will use your responses to refine our concepts and advance our recommendations for the district. We thank you in advance for your time and passion for this project! There's still time to share feedback on your shopping and dining experiences in Tulsa! Please complete a brief 15-question survey to help us understand your preferences and needs. The city is examining local shopping and dining opportunities and considering the desires of its residents as it develops a strategy to support the growth of​​ its commercial districts. We have extended the deadline through June 29, 2018, and the survey is now available in Spanish. ¡Ayuda a guiar el desarrollo de la ciudad mediante una estrategia de venta minorista a largo plazo, completando una breve encuesta sobre tus experiencias de compra y opciones de comida en Tulsa! Thank you to those who have already participated! How can the City of Tulsa better meet your local retail and dining needs? We want to hear about your shopping and dining experiences in Tulsa! Your comments will help prioritize retail, dining and other future development options in commercial districts throughout Tulsa. We need your feedback for the Arena District Master Plan! Now is the time to provide your insight and opinions on the Arena District! Launched in February of 2018, the Arena District Master Plan will help guide the City of Tulsa and its partners in developing improvements to the District’s public realm. Now in its initial stages, the master planning process is currently assessing the existing conditions of the District in our effort to create a unified vision for the future. 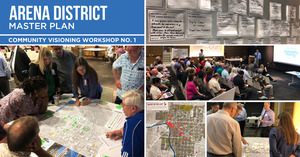 The first Community Visioning Workshop for this planning effort was held at Tulsa City-County (Central) Library, on Wednesday, May 9th. 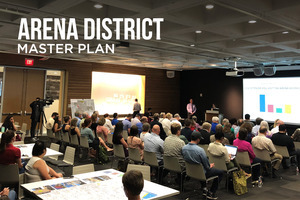 At this event, the planning team showed a brief presentation which summarized key findings from the first Arena District Master Plan survey. The nearly 100 community participants were then prompted to work in teams to identify strengths, weaknesses, and opportunities within the District. If you were unable to attend this meeting, or attended and would like to provide additional feedback, there is still time to share your ideas! Please go to Feedback Tulsa and take a few minutes to provide your thoughts on the strengths, weaknesses, and opportunities within the Arena District. We will use this information to guide our analysis of the District, which will be shared with the community at our second Community Workshop. Help us craft a vision for the Arena District! We want to hear from you! The Arena District Master Plan will set a vision for the 30-block Arena District, located on the western side of Downtown Tulsa. In preparation for the first Community Visioning Workshop, we want to hear from you! What do you like about the area, what would you change, and what is your vision for this upcoming district? 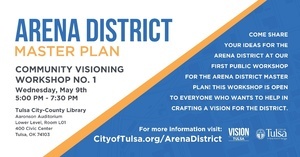 Please join us on Wednesday, May 9th at the Tulsa City-County Library in the Aaronson Auditorium (Room L01) for the first Community Visioning Workshop for the Arena District Master Plan. Doors open at 5:00 PM, followed by a brief presentation starting at 5:30 PM in which we will introduce the planning area, our initial analysis, and next steps. Following this presentation, you will be able to engage the planning team on one-on-one conversations and provide your comments, ideas and vision for the future of the Arena District. We hope to see you there! Please take a moment to learn more about the project and fill out our brief survey. Your feedback is appreciated! Should we limit the number of Small Box Discount Stores in North Tulsa? We want to hear from you! Let decision-makers know your thoughts about proposed restrictions on the number of Small Box Discount Stores in parts of northern Tulsa. Please take a moment to learn more about this topic and to complete our brief survey. This topic will be open until March 4th and will be shared with decision-makers for consideration as staff draft the proposed overlay. Last chance to share your feedback on the Downtown Walkability Analysis! Don't miss this chance to share your feedback! Our Downtown Walkability Analysis survey will close for comments on Monday, May 1, 2017 at 5:00 pm. The Downtown Coordinating Council (DCC) wants your feedback on the draft of a recent Walkability Analysis, which aims to bring about positive changes for Tulsa's downtown streets, sidewalks, and pedestrians. 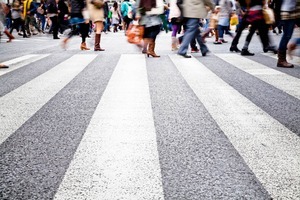 Please take this survey to share your opinions about the study, which was completed by Jeff Speck, a city planner and author of "Walkable City: How Downtown Can Save America, One Step at a Time." We look forward to hearing your ideas and feedback! What do you think about concepts in the Walkability Analysis draft? World class places. Downtown development. Parks and open spaces. Our City is changing and we want to hear from you. In 2008, the City of Tulsa initiated PLANiTULSA to update Tulsa’s Comprehensive Plan for the first time since the 1970's. PLANiTULSA tells the story about how Tulsa can change over the next 20 to 30 years. Mayor G. T. Bynum invites you to celebrate PLANiTULSA's accomplishments and let the City know what matters most to you. 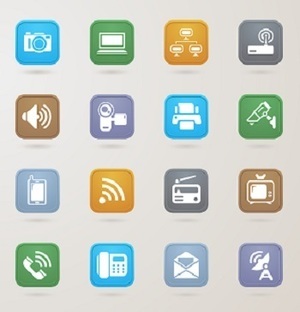 How can we communicate better with you? Thank you for your providing your feedback on the kind of iconic art you would like to see in Tulsa to celebrate Tulsa as the birthplace of Route 66! The City has selected Eric F. Garcia's "Route 66 Rising" to be installed in the traffic circle by the end of 2017 at the intersection of East Admiral Place and North Mingo Road, on the original 1926 to 1932 alignment of Historic Route 66. 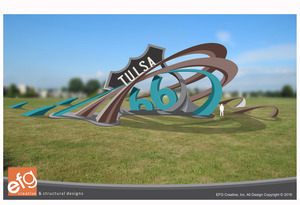 The installation is funded by Tulsa County Vision 2025 funds voters approved for Route 66 enhancements, to preserve and elevate Tulsa’s allure for heritage tourism. What makes Tulsa resilient (or not) to chronic stresses like aging infrastructure or poverty and acute shocks like Oklahoma's severe weather? What are your resilience priorities? Read more about Tulsa’s resilience program, take the survey and share a comment to help shape our resilience plan. Although we did not have any images posted on the forum, we were pleased to received images for the 2015 photo essay through other channels. Please enjoy “This is Tulsa Through Many Eyes Volume 3” and share it with friends, family and colleagues. We're still looking for great photos of Tulsa as contributions to this year's "This is Tulsa Through Many Eyes" video. If you are stumped by the "Healthy Communities" theme, no worries. Photos with a Tulsa theme are welcomed, so submit your Tulsa photos here on the forum or attach them to an e-mail to mschultz@cityoftulsa.org by Monday, November 2. What kinds of iconic public art would you like to see in Tulsa to celebrate Tulsa's tourism heritage as the birthplace of Route 66, "The Mother Road"? What places and activities represent Tulsa as a healthy place to live, work and play? Submit a photo for the 2015 video "This is Tulsa Vol. 3" in observance of National Community Planning Month. What Tulsa locations provide opportunities for residents and visitors to enjoy, enhance and experience healthy lifestyles? Share your ideas and show your favorite spots on the map as part of National Community Planning Month. The State of Oklahoma has adopted minimum construction codes that apply to local municipalities. For those who could not attend Town Hall meetings in July and August, please review the draft codes and share your comments on this forum. How would you prioritize the needs to be addressed by the future City of Tulsa vision? What do you think about the new features proposed in the zoning code update public review draft? The document under consideration is a working draft; your input will help us shape the final product. Four days left to comment. What do you think about the new features proposed in the zoning code update public review draft? The document under consideration is a working draft; your input will help us shape the final product. 2nd Annual Photo Essay: "This is Tulsa Part 2"
Submit favorite photos of Tulsa landmarks, public places, or natural features during the month of October. In conjunction with National Community Planning Month, Tulsa's Planning & Development Department will collect photos for the 2014 video "This is Tulsa - Through Many Eyes, Part 2." Do you think business practices and policies related to housing choice - in both the public and private sectors - are fair for all persons seeking a place to live in Tulsa? Read more here, take the survey and help the City of Tulsa gather input for a study required for federal funding. Tell the City of Tulsa how you think federal funds should be spent over the next 5 years by visiting the two latest topics on Feedback to rank your priorities for Public Services needs and Physical & Economic Development needs. The City of Tulsa seeks feedback from all citizens to develop goals for its strategic 5-year Consolidated Plan that will direct the use of grant funds from the U. S. Department of Housing and Urban Development (HUD). The topics will be open through August 24th and the responses will be shared with the City’s HUD Community Development Committee for consideration.